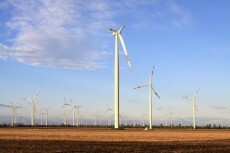 In December 2013, one of the biggest successes for opponents of wasteful government spending took place: the Production Tax Credit (PTC) for the government subsidy–dependent wind-power industry expired, which would progressively save U.S. taxpayers up to $12 billion as no new wind-energy development projects could claim it. In a boon to wind developers, the IRS said renewable energy projects could qualify for the PTC if they had incurred at least 3 percent of the total project cost before the beginning of 2014, down from the previous threshold of 5 percent. Of course, this news comes on the heels of prodding from wind developers who have been waiting for this direction since this spring, when investors that provide the cash to fund major wind power projects began demanding a guarantee that projects would qualify. Alas, if only we all lived in a world where we could get paid based on accomplishing 5 percent of something. Perhaps President Obama is smart to throw his pals a lifeline, because the legislative process won’t get him anywhere when it comes to the real prize. Opposition to an extension of the PTC is strong and bipartisan, with 54 Members of Congress recently issuing a letter to House leaders calling for its end. This comes on the heels of other members who were once supportive of the PTC changing their tune in recognition that the subsidy has served its purpose. House Majority Leader Kevin McCarthy is one of them, which is notable coming from California, a state that has generally supported these kinds of incentives. Other members of Congress are also bound to take note that the PTC should end, especially in the wake of developments like the CEO of Power Company of Wyoming admitting that the PTC is not needed and that its demise will not halt the company’s plans to build a large wind farm. On a recent Friday afternoon during August recess, the IRS issued new guidance that expanded the PTC even further. 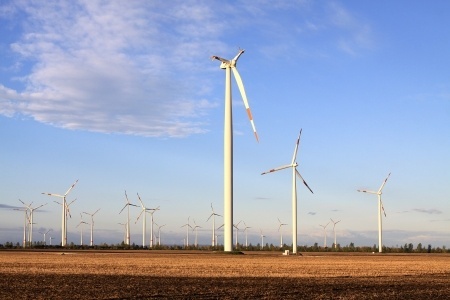 Now, in certain situations, the IRS will allow wind farm developers to sell a project that is either completed or in-progress and the use the selling costs they incur to count toward qualifying for the PTC. The IRS also clarified what “significant work of a physical nature” is needed in order to qualify for the tax credit. The IRS provided a loose definition, saying … that it is the nature of the work that matters (e.g., digging foundations, installing transformers, building roads), not the extent or the cost. These repeated changes occur with little public notice, seemingly always on Friday afternoons while most in Washington are away from their Blackberries. These are a problem because arbitrary action by a handful of unelected bureaucrats is quietly expanding this taxpayer subsidy, increasing the price tag of this handout more and more every year. Historically, the PTC program has cost an average of $5 billion per year; thanks largely to these expansions, a 1-year extension would cost a whopping $13 billion over the next decade. Given the federal government’s serious fiscal problems, it makes no sense to increase giveaways like this to any private industry, let alone one as economically unviable as wind energy. Further alarming is the fact that this is happening without actions from elected officials. Members of Congress facing future elections are able to be held accountable to their constituency; out-of-control IRS bureaucrats like Lois Lerner are not. 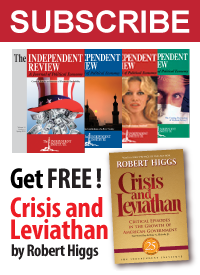 Since Congress has outsourced so much of its authority to federal agencies over the course of the Obama Administration and its predecessors, the IRS can claim that it is acting within the scope of its legal authority when it issues this type of new “guidance” that expands this controversial subsidy program even though it’s expired. We can’t get federal spending under control if our elected officials aren’t willing to stand up to special interests like those in the wind energy industry. Congress should reject efforts to extend or grow this special carve-out for wind producers, and it should disapprove of the IRS’s ongoing actions to expand it. Indeed. An expired government subsidy for a failing government-supported industry should stay dead. If only it would finally die. It’s the sort of zombie government regulation that gives zombies a bad name.